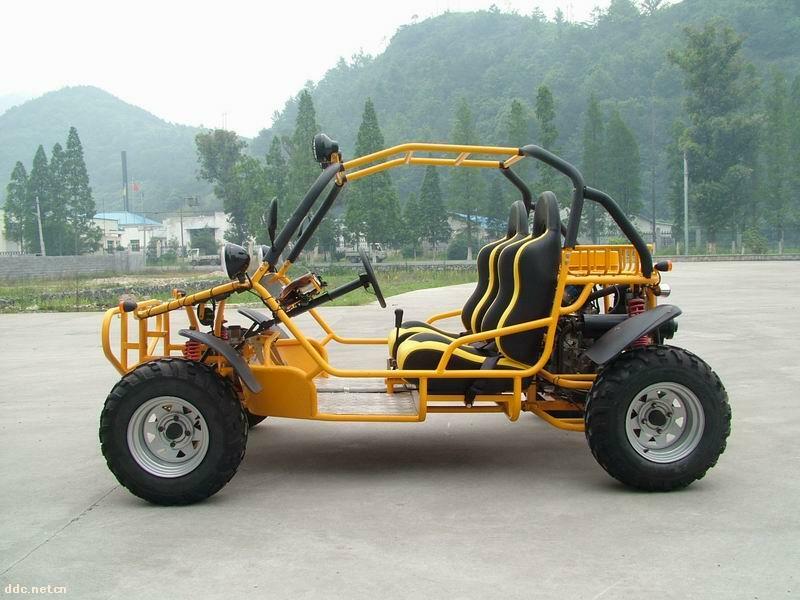 A go-kart (sometimes known as a go-cart) is a small four-wheeled vehicle. Go-karts come in all shapes and forms, from motorless models to high-powered racing machines, some, like Superkarts, being able to beat racing cars on long circuits. Gravity racers, usually referred to as Soap Box Derby carts, are the simplest type of go-karts. They are propelled by gravity, with some races taking place down a single hill. Amusement park go-karts can be powered by 4-stroke engines or electric motors, while racing karts use small 2-stroke or 4-stroke engines. Most of them are single seater but recreational models can sometimes accommodate a passenger. In some countries, go-karts can be licensed for use on public roads. Typically there are some restrictions, e.g. in the European Union a go-kart on the road needs head light (high/low beam), tail lights, a horn, indicators and a maximum of 20hp. 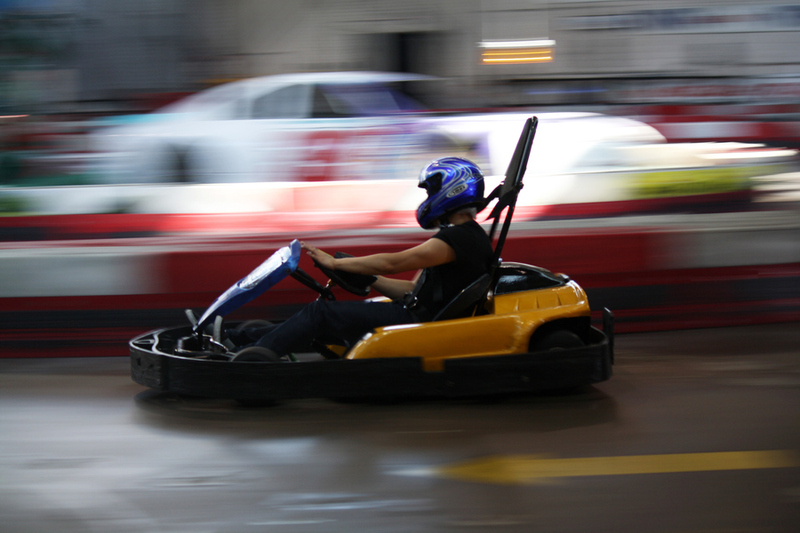 Go-karts used in amusement parks can be fitted with additional electronic controls such as remote speed limiters to help promote a safer operating environment. In the event of an accident or an out of control racer, the track attendant can remotely slow or stop all vehicles on the track via radio control. This remote speed control can also be used to limit young riders to a slow operating speed, while a race consisting only of adults is permitted a higher speed. These controls can be applied to both electric and combustion-engine karts.